What we now call Memorial Day was originally called Decoration Day after the custom of decorating the graves of soldiers who had fought in the Civil War. The name has changed, but the honorable custom continues. Henry Wadsworth Longfellow’s 1882 poem “Decoration Day” shows us why Longfellow was the most popular poet of nineteenth-century America. Why not share it with your homeschool students on this Decoration Day weekend. ❡ Little lessons: Longfellow’s “Decoration Day” is not only a beautiful poem, it’s also a fine example you can use to teach your students about extended metaphors in literature. The poem draws an imaginative comparison between soldiers sleeping on their battlefield campgrounds at night, and the rows of graves in the burial ground covered by “tents” of green grass. See how many specific comparisons or contrasts you and your students can identify (the contrast between the trampled ground of the battlefield and the untrampled ground of the burying field; the comparison between the sentinel guards on the battlefield and all of us as guardians of memory on the burying field; and so on). What literary or historical discoveries have you made in your homeschool lately? ❡ Little lessons: Can your homeschool students find West Point, New York, on a map and explain its significance? Although the name “West Point” is now a shorthand name for our national military academy, “West Point” proper actually refers to the high point of land that projects into the Hudson River just a few miles north (upstream) from New York City. The point forces the Hudson to make a sharp bend, and artillery placed there can easily control all traffic on the river. West Point was first fortified during the American Revolution, and it has been occupied by the United States Army ever since. The Hudson River–Lake Champlain–Richelieu River corridor between New York City and Montreal (on the St. Lawrence River) was one of the most contested military transportation routes on the North American continent for almost 200 years. Plate 44 in your River Houses atlas (riverhouses.org/books) will show you the location of West Point and let you and your students get a sense of its geographical importance. What other holidays or anniversaries will you be marking in your homeschool in the weeks ahead? Many homeschoolers treat the Memorial Day weekend as the end of the school year, and perhaps as the occasion to hold a family graduation ceremony. The beautiful song “Homeward Bound” by American composer Marta Keen has in recent years become a staple of high school choirs around the country — and many other vocal groups as well. The speaker in the song is a young person asking permission to leave home, and promising to return. “Homeward Bound” may be just the accompaniment you need for your own homeschool graduation. 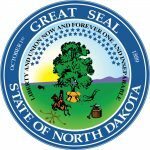 NORTH DAKOTA (the 39th state, 2 November 1889) — The Peace Garden State. Capital: Bismarck. North Dakota can be found on page 582 in your almanac and on plates 39 and 142 in your atlas. Name origin: “Sioux word ‘Dakota’, meaning ‘friend’ or ‘ally’” (almanac page 423). State bird: Western Meadowlark. Website: www.nd.gov. 🇷🇸 SERBIA — in southeastern Europe. Population: 7,111,024. Capital: Belgrade. Website (in Serbian, Croatian, and English): www.srbija.gov.rs. 🇸🇨 SEYCHELLES — in the Indian Ocean. Population: 93,920. Capital: Victoria. Website (in English): www.egov.sc. 🇸🇱 SIERRA LEONE — in West Africa. Population: 6,163,195. Capital: Freetown. Website (in English): www.statehouse.gov.sl. 🇸🇬 SINGAPORE — in Southeast Asia. Population: 5,888,926. Capital: Singapore (city). Website (in English): www.gov.sg. These all appear in your current almanac, atlas, and history encyclopedia as well. For example, you’ll find the main entries for the African nation of Sierra Leone on almanac page 832, atlas plates 97 and 139, and history encyclopedia page 561, with illustrations, flags, and other mentions available through the indexes in each volume. ❡ Little lessons: “Did you know that the island nation of the Seychelles (in the Indian Ocean) has a population of fewer than 100,000 people?” You can find a facts-and-figures outline of the Seychelles on page 831 in your River Houses almanac and on plate 139 in your atlas, with a map of the country (look close!) on atlas plate 95 (riverhouses.org/books). 🌔 THE MOON at the beginning of this week is waxing gibbous (and full on the 29th). Track the moon’s phases each month at timeanddate.com/moon/phases, and dial up this week’s constellations with your River Houses star atlas (riverhouses.org/books). 🗓 TODAY (Sunday, 27 May) — Today is the 147th day of 2018; there are 218 days remaining in the year. Learn more about different kinds of modern and historical calendars on pages 351–357 in your River Houses almanac (riverhouses.org/books). ⬩ It’s the Memorial Day weekend! Many homeschoolers consider this to be the unofficial end of the school year and hold their homeschool graduations this weekend, so we’ll have some fine graduation music coming right up! ⬩ Today is also the birthday of the American poet and songwriter Julia Ward Howe (1819–1910), author of the great patriotic “Battle Hymn of the Republic” (“Mine eyes have seen the glory”). TUESDAY (29 May) — On this day in 1453, the city of Constantinople fell to the Ottoman armies of Sultan Mehmed II after a 53-day siege, bringing to an end the ancient Byzantine Empire that had survived for more than a thousand years. ⬩ On this day in 1953, mountaineers Edmund Hillary and Tenzig Norgay became the first climbers ever to reach the summit of Mount Everest. THURSDAY (31 May) — Today is the birthday of the great American poet Walt Whitman (1819–1892), who contained multitudes. ⬩ On this day in 1889, a dam burst on the Little Conemaugh River upstream from Johnstown, Pennsylvania. The Johnstown Flood destroyed more than four square miles of the town and killed more than 2000 people. FRIDAY (1 June) — Happy June! On this first day of the month we’ll take look at the astronomical events you and your homeschool students should watch for in the weeks ahead. ⬩ Today is the birthday of the great English poet of the sea John Masefield (1878–1967), author of the finest thing Herman Melville never said. SATURDAY (2 June) — Saturday is the birthday of poet and novelist Thomas Hardy (1840–1928), whose works have been loved and loathed by high school English students for generations. ⬩ Britain’s Queen Elizabeth II was crowned on this day in 1953, making her now the longest-reigning monarch in British history and the longest-serving female head of state in world history. 🌎 EVERYTHING FLOWS: Sierra Leone is one of our countries-of-the-week, so our Weekly World River is the Rokel River, the largest river in Sierra Leone, which flows southwest through the capital city of Freetown. You can chart its course in your River Houses atlas (riverhouses.org/books), and you can read much more about it in the comprehensive Rokel River entry in Wikipedia or perhaps on your next visit to your local library. Saturday Songs: Let Us Rejoice! There is probably no popular song in history that has been translated into more languages around the world than the ancient Latin students’ song “Gaudeamus Igitur” (“Let Us Rejoice”). If you’re planning a homeschool graduation of sorts this Memorial Day weekend, maybe you’d like to introduce it to your students so they can join in fellowship with hundreds of thousands of other students who have sung it for centuries. For our youth to cheer us! Quiet earth will enfold us. If you visit the AHPS page you’ll find an interactive map that will let you zoom in on any region of the country. The dots represent the location of gauging stations: monitoring instruments that track water levels and flow. The colors represent low water, normal levels, and rivers at flood stage. 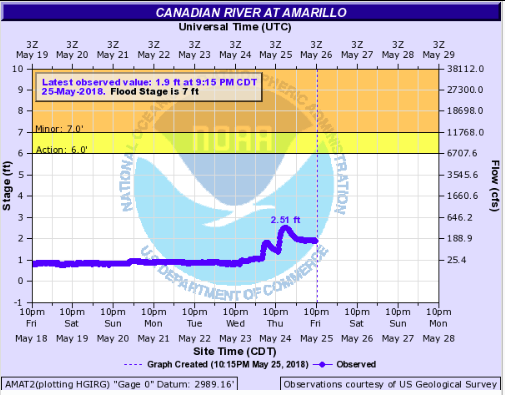 If you’re in northern Texas, for example, you can zoom in on the Canadian River near Amarillo, and from the gauging station data you can see that the Canadian River is still at normal levels (as of today) but has risen about 2.5 feet in the past 24 hours due to rain. 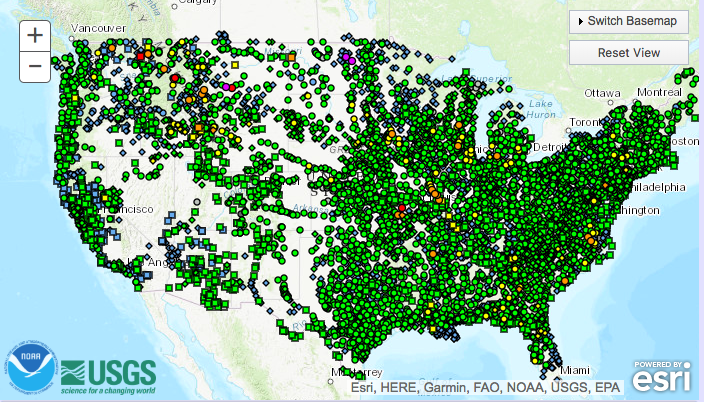 Why not explore the other river links on the National Weather Service website and see what you can discover about the rivers near you. COLORADO (the 38th state, 1 August 1876) — The Centennial State. Capital: Denver. Colorado can be found on page 567 in your almanac and on plates 38 and 142 in your atlas. Name origin: “From Spanish for ‘red,’ first applied to Colorado River” (almanac page 423). State bird: Lark Bunting. 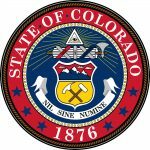 Website: www.colorado.gov. 🇸🇲 SAN MARINO — in Europe, surrounded by Italy. Population: 33,537. Capital: San Marino. Website (in Italian): www.sanmarino.sm. 🇸🇹 SÃO TOMÉ AND PRINCIPE — off the west coast of Africa. Population: 201,025. Capital: São Tomé. Website (BBC country profile): bbc.com/news/world-africa-14093493. 🇸🇦 SAUDI ARABIA — in the Middle East. Population: 28,571,770. Capital: Riyadh. Website (in Arabic and English): www.saudi.gov.sa. 🇸🇳 SENEGAL — in West Aftica. Population: 14,668,522. Capital: Dakar. Website (BBC country profile): bbc.com/news/world-africa-14093674. These all appear in your current almanac, atlas, and history encyclopedia as well. For example, you’ll find the main entries for Senegal on almanac page 830, atlas plates 97 and 139, and history encyclopedia page 560, with illustrations, flags, and other mentions available through the indexes in each volume. ❡ Little lessons: “Did you know that the African nation of Senegal completely surrounds the tiny nation of Gambia, which occupies two strips of land on either side of the Gambia River in the middle of Senegal?” You can find a facts-and-figures outline of Senegal on page 830 in your River Houses almanac and on plate 139 in your atlas, with a map of the country on atlas plate 97 (riverhouses.org/books). 🌒 THE MOON at the beginning of this week is a waxing crescent — a good time for stargazing! Track the moon’s phases each month at timeanddate.com/moon/phases, and dial up this week’s constellations with your River Houses star atlas (riverhouses.org/books). 🗓 TODAY (Sunday, 20 May) — Today is the 140th day of 2018; there are 225 days remaining in the year. Learn more about different kinds of modern and historical calendars on pages 351–357 in your River Houses almanac (riverhouses.org/books). ⬩ Shakespeare’s sonnets were first published on this day in London in 1609, possibly without his permission. ⬩ Today is also the birthday of the great philosopher of liberty John Stuart Mill (1806–1873). Monday (21 May) — Monday is Museums & Monuments Day at the River Houses. The American Red Cross was established on this day in 1881 by Clara Barton, so we’ll stop in at the American Red Cross Museum in Washington, D.C. ⬩ Today also the birthday of the great German artist Albrecht Dürer (1471–1528). Tuesday (22 May) — Join us for Tuesday Tea at the Library and some notes on books, libraries, and history. This week we’ll remember the inventor of Sherlock Holmes, Sir Arthur Conan Doyle, born on this day in 1859. ⬩ Today is also the birthday of the famous American impressionist painter Mary Cassatt (1844–1926). Wednesday (23 May) — Wednesday is Wonderful Words Day at the River Houses, and since this week is the anniversary of the publication of Shakespeare’s sonnets, we’ll read a sonnet! ⬩ Today is also the birthday of the great Swedish naturalist Carl Linnaeus (1707–1778), who devised the system of species nomenclature that is still in use today in the biological sciences by all of us members of Homo sapiens. Thursday (24 May) — On this day in 1844, Samuel F.B. Morse sent the message “What hath God wrought?” from the U.S. Capitol building to his assistant in Baltimore, thirty-five miles away, instantly, thereby inaugurating the first commercial telegraph line between two U.S. cities. 🌎 EVERYTHING FLOWS: Senegal is one of our countries-of-the-week, so our Weekly World River is the Saloum River, which flows west through Senegal and empties into the Atlantic Ocean. The Saloum River Delta National Park is a UNESCO World Heritage Site. You can chart the Saloum River’s course in your River Houses atlas (riverhouses.org/books), and you can read more about it in the Saloum River entry in Wikipedia or on your next visit to your local library. Cultural understanding grows from the storehouse of facts and experiences that you impart to your students as you teach them from day to day. To understand a complex and beautiful piece of literature or music your students must already know a great deal about the world — names, places, people, and events, that may seem at first to be disconnected. This post is about a piece of music, but it begins with an anniversary. On this day in 1845, one of the most famous sailing voyages of the nineteenth century began — and with it, one of that century’s greatest mysteries. On the 19th of May in 1845, British admiral Sir John Franklin sailed from Greenhithe in England with two ships, HMS Erebus and HMS Terror, in the hopes of discovering the Northwest Passage: the postulated northern route from the Davis Strait off the coast of Greenland to the Beaufort Sea above Alaska that would eliminate the need to sail all the way around the tip of South America (“around the Horn”) to get to the Far East. Franklin and his expedition, 149 men in all, disappeared, and were never heard from again. You could develop an entire homeschool curriculum based on the Franklin expedition and the search for the Northwest Passage. Many additional ships were sent in search of Franklin, and some found scraps of evidence. Interviews with Inuit hunters turned up reports of starving men seen years before who had appeared to be shipwreck survivors. But the ships themselves and what happened to them remained a mystery. But this post is about a piece of music. The great Canadian folk singer Stan Rogers, who died tragically in an airplane fire in 1983, wrote a small masterpiece called “Northwest Passage” that has become a kind of second national anthem of Canada. It tells the story of a modern traveler driving along the well-paved highways of the far north, and imagining the explorers who went before him. Why not sit down this week with your students and your atlas (riverhouses.org/books), and listen to Stan Rogers, and follow the hand of Franklin reaching for the Beaufort Sea. Do you have a space enthusiast in your homeschool? Why not take a few minutes today to learn about Skylab, America’s first space station, launched on this day in 1974. After the successful Apollo Program and the moon landings of the 1960s, the next step for NASA was the construction of a semi-permanent space station. That space station was Skylab, and it was to go into operation with two launches in succession: first the unmanned station itself, and then the next day the astronaut crew who would dock with the station and take control. But all did not go according to plan. The station’s solar panels didn’t deploy correctly, and the launch of the crew was delayed until engineers could figure out how the astronauts could repair the solar panels in orbit (which they did, two weeks later). Commemorative Skylab stamp, first day of issue, 14 May 1974. NEBRASKA (the 37th state, 1 March 1867) — The Cornhusker State. Capital: Lincoln. Nebraska can be found on page 578 in your almanac and on plates 39 and 142 in your atlas. Name origin: “From Omaha or Otos Indian word meaning ‘broad water’ or ‘flat river,’ describing the Platte River” (almanac page 423). State bird: Western Meadowlark. 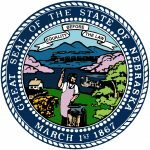 Website: www.nebraska.gov. 🇰🇳 SAINT KITTS AND NEVIS — in the West Indies. Population: 52,715. Capital: Basseterre. Website (in English): www.gov.kn. 🇱🇨 SAINT LUCIA — in the West Indies. Population: 164,994. Capital: Castries. Website (in English): www.govt.lc. 🇻🇨 SAINT VINCENT AND THE GRENADINES — in the West Indies. Population: 102,089. Capital: Kingstown. Website (in English): www.gov.vc. 🇼🇸 SAMOA — in the Pacific Ocean. Population: 200,108. Capital: Apia. Website (in English): www.samoagovt.ws. These all appear in your current almanac, atlas, and history encyclopedia as well. For example, you’ll find the main entries for the island nation of Samoa on almanac page 829, atlas plates 138 and 110 (where you can practice reading insets on a map), and history encyclopedia page 599, with illustrations, flags, and other mentions available through the indexes in each volume. ❡ Little lessons: “Did you know that the tiny island nation of Saint Lucia, with a population of barely more than 150,000, has produced two Nobel Prize winners?” You can find a facts-and-figures outline of Saint Lucia on page 829 in your River Houses almanac and on plate 138 in your atlas, with a map of the country (look close!) on atlas plate 49 (riverhouses.org/books). 🌘 THE MOON at the beginning of this week is a waning crescent, a very good time for stargazing! (The moon will be new, and the night sky darkest, on the 15th.) Track the moon’s phases each month at timeanddate.com/moon/phases, and dial up this week’s constellations with your River Houses star atlas (riverhouses.org/books). 🗓 TODAY (Sunday, 13 May) — Today is the 133rd day of 2018; there are 232 days remaining in the year. Learn more about different kinds of modern and historical calendars on pages 351–357 in your River Houses almanac (riverhouses.org/books). ⬩ It’s Mother’s Day! Happy Mother’s Day to all friends of the River Houses and to all mothers everywhere! ⬩ On this day in 1861, the astronomer John Tebbutt of Windsor, Australia, discovered C/1861 J1, better known as the Great Comet of 1861. Monday (14 May) — On this day in 1787, delegates from the several states convened in Philadelphia to draft a new federal Constitution for the United States to replace the original Articles of Confederation. ⬩ On this day in 1973, the United States’ first space station, Skylab, was launched from the Kennedy Space Center in Florida. Wednesday (16 May) — Today is the birthday of American educator Elizabeth Palmer Peabody (1804–1894), who established the first public kindergarten in the United States. Thursday (17 May) — Today is the birthday of the English physician Edward Jenner (1749–1823), developer of the smallpox vaccine, one of the greatest discoveries in the history of medicine. ⬩ The first Kentucky Derby was run on this day in 1875. (The winning horse was named Aristides.) ⬩ On this day in 1902, Greek archaeologist Valerios Stais discovered the Antikythera mechanism, one of the most remarkable objects the ancient world ever produced. Friday (18 May) — Today is the birthday of Mathew Brady (1822–1896), the famous photographer of the American Civil War. ⬩ Today is also the birthday of Italian-American screenwriter and director Frank Capra (1897–1991), producer of such film classics as Mr. Smith Goes to Washington (1939) and It’s a Wonderful Life (1946). Saturday (19 May) — On this day in 1780, smoke from major forest fires in Canada drifted south across the northeastern states, blotting out the sun and leading many to fear that the end of the world was at hand. Candles had to be lit at noon and frogs began croaking as if it were nightfall on New England’s famous “Dark Day.” ⬩ Arctic Explorer Sir John Franklin set out from Greenhithe, England, on this day in 1845, hoping to discover and chart the Northwest Passage. Franklin and his ships were never heard from again. The Franklin expedition’s disappearance was one of the great nautical mysteries of the nineteenth century. 🌎 EVERYTHING FLOWS: Our countries-of-the-week all happen to be island countries this week and so they have no major rivers, but being volcanic and mountainous they do have many beautiful waterfalls. Our Weekly World “River” will therefore be the Sopoaga Falls on the island of Upolu in the Pacific Ocean nation of Samoa. You can locate Samoa in your River Houses atlas (riverhouses.org/books) and you can read a collection of visitors’ accounts of the Sopoaga Falls on the travel website TripAdvisor.com. Take a few homeschool minutes today to introduce your students to a famous piece of Classical music by the great French composer Gabriel Fauré, born on this day in 1845.